In short:This is the first game I made entirely by myself, and as such it deserves a spot here for historical reasons alone. It is a Puzzle/Labyrinth game in which you are supposed to get from point A to point B through, you guessed it, a labyrinth. 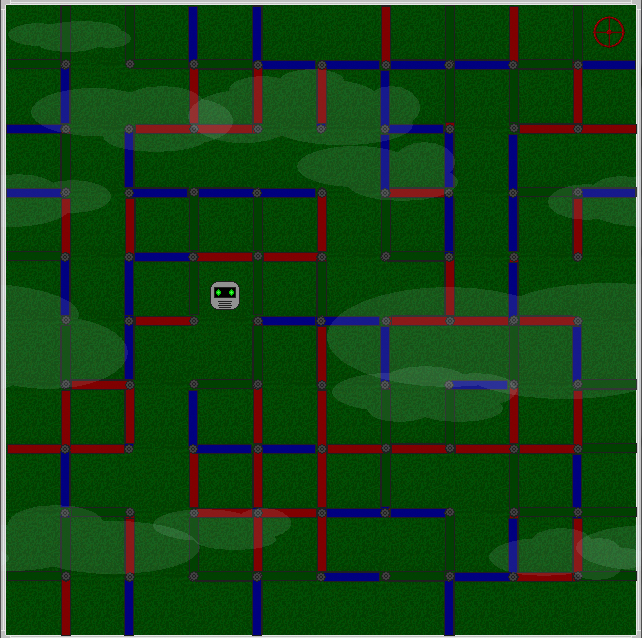 The twist is that the player can move all the walls. There are three buttons, one for red walls, one for green walls and one for blue walls. When pressing a button all walls of the respective color turn 90 degrees counter-clockwise. You have to rotate the walls as you go along to reach the goal. Things to do: Improve graphics, Add background music, fix animated sprites for the walls and the player, improve coding in general, add more levels, possibly add a timer to make the levels more challenging. If you want to try out and/or download the prototype, just click the title and you will be linked to YoYogames where I have posted it. Comments and suggestions are very much welcome! Copyright © 2019 MENTAL SCRAPS. Powered by WordPress and Stargazer.